At Embankment Machinery Sales we place the highest priority on the provision of a customer-focused after-sales service. The Service department in EMS consists of a complete field and workshop service operation in Naas from which we service the domestic market. We have many years of experience, and have factory trained staff competent in all equipment applications and maintenance. 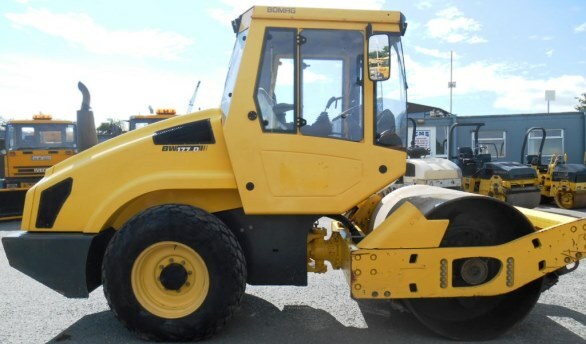 The range of equipment includes wheel loaders, excavators, articulated trucks, site dumpers, rockbreakers, compaction rollers, generators and compressors. We only use genuine spare parts and our technicians are equipped with the most advanced technology available to ensure your machine is back working as soon as possible. We are continually investing in people and facilities to ensure we provide the quality of service you have come to expect from EMS. Between our onsite technicians and our in house technicians we are in a position to resolve any problem. EMS offer preventative manitenace contracts for all types of equipment but in the eventuality of a breakdown we can provide onsite assistance, or even replacement machines depending on availability at the time. EMS will also provide service facilities to our customers internationally on a temporary contract basis.